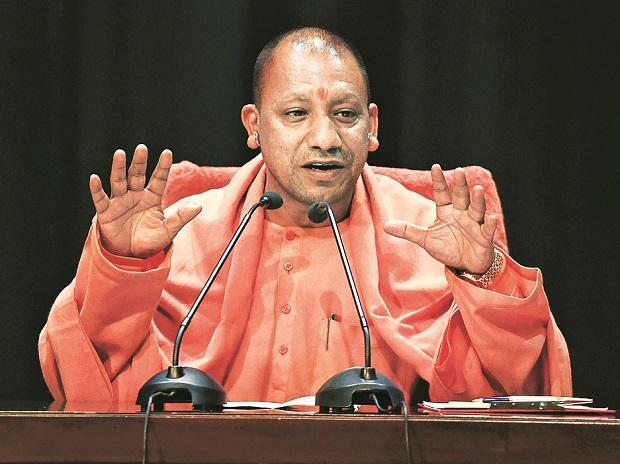 Uttar Pradesh chief minister Yogi Adityanath, who ranks among the star campaigners of the ruling Bharatiya Janata Party (BJP), will launch the party’s Lok Sabha elections campaign from the Western UP district of Saharanpur tomorrow with a rally. Adityanath would offer prayers at the Shakumbhari Devi shrine in Saharanpur and later address a public meeting at the nearby Nagalmafi area, which would mark the official start of the saffron party’s electioneering in the crucial state of UP after the model code of conduct came into force earlier this month. UP, which accounts for the maximum number of 80 Lok Sabha seats, holds the key to the Delhi throne. The state is set to witness a triangular battle between BJP, Congress and the Samajwadi Party (SP)-Bahujan Samaj Party (BSP) combine. Meanwhile, local BJP leaders have already started preparations for the rally with state sugarcane minister Suresh Rana taking stock of the ground situation. Saharanpur would witness polling in the first phase on April 11 along with seven other Western UP constitutes, namely, Kairana, Muzaffarnagar, Bijnor, Meerut, Baghpat, Ghaziabad and Gautam Buddha Nagar (Noida). This region comprises comparatively sizeable minority community population as well. Congress has announced the candidature of controversial Imran Masood from Saharanpur and he filed his nomination yesterday. BSP has fielded Haji Fazlurahman, thus giving speculation to the possible division of Muslim votes, which could help BJP square up the contest and benefit in the process. The party has fielded Raghav Lakhanpal from the prestigious constituency. Meanwhile, deputy CM Keshav Prasad Maurya would also address a rally in the SP pocket borough of Etawah tomorrow and attack the alleged unholy SP-BSP combine, which has fielded Kamlesh Katheria from the seat, while BJP is yet to announce its nominee. The traditional SP turf of Etawah had slipped to the BJP, amid a strong Modi wave, in 2014, when the party candidate Ashok Kumar had won the general elections. UP is scheduled to witness seven phases polling on April 11, 18, 23, 29, May 6, 12 and 19, progressing from the Western region towards the Eastern UP districts. More than 144 million electorates would are eligible to vote, including more than 77.9 million males, 66.1 million females and 8,374 third gender voters. Besides, nearly 91,709 polling centres and 1,63,331 polling booths would be set up. The seven phases of polling would witness voting in 8, 8, 10, 13, 14, 14 and 13 constituencies respectively spread across 75 districts in UP. After the brief hiatus during Holi festival, the electioneering by parties is likely to pick from as days advance and parties announce their candidature on the remaining constituencies. The tribe of turncoats and party hoppers is also expanding fast with the dissidents joining the rival parties after being denied tickets.